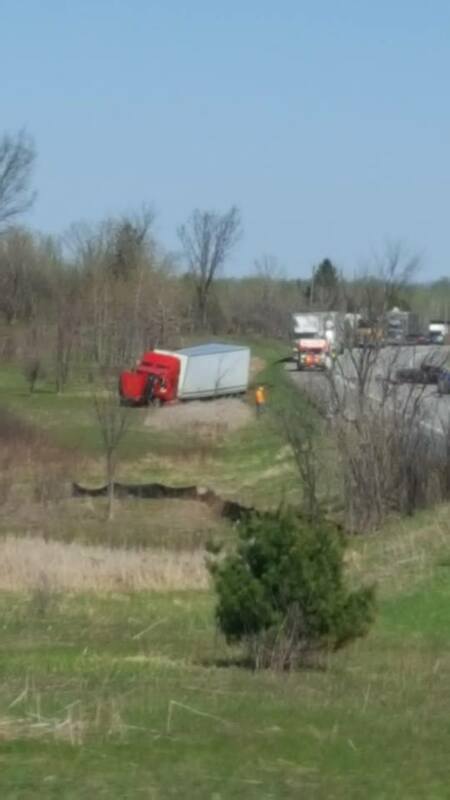 Cornwall Ontario – CFN viewer Cynthia Lajoie sent in these two pics as we wait for the OPP to respond. Traffic is backing up on 138 and we will update. Fire trucks now on scene. 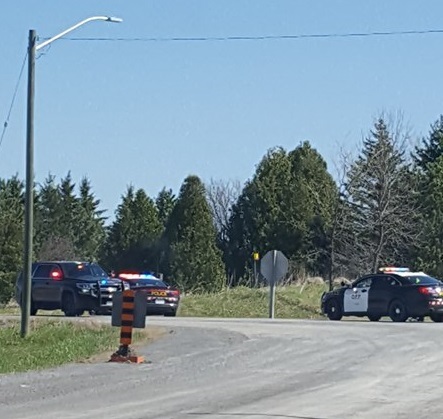 (SOUTH STORMONT,ON) – Stormont, Dundas & Glengarry (SD&G) Ontario Provincial Police (OPP) officers are currently at the scene of a two (2) vehicle collision on Highway 138 (between Quail Road and McDonald Road), South Stormont Township. 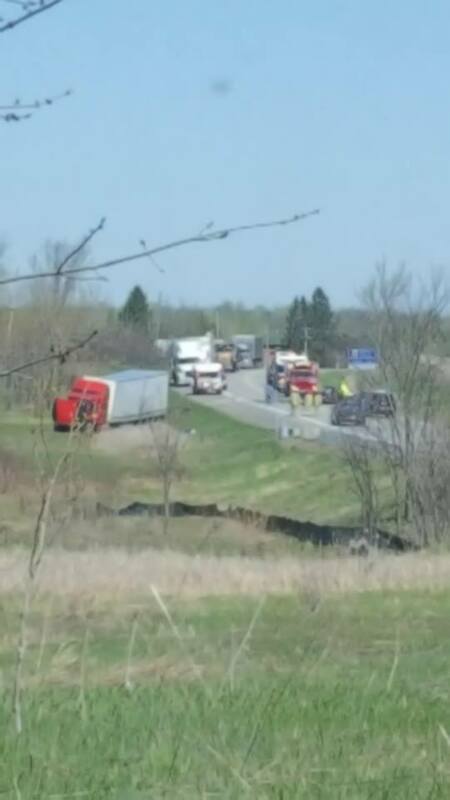 Preliminary investigation has indicated that at approximately 10:08am, a passenger vehicle was travelling northbound on Highway 138 when, for reasons under investigation, crossed into the South bound lane and collided head-on with a Southbound tractor trailer. The adult male driver (lone occupant) of the northbound passenger vehicle was taken to hospital with serious non-life threatening injuries. The tractor trailer driver (lone occupant) was taken to hospital with serious non-life threatening injuries. SD&G OPP continue to process the scene. 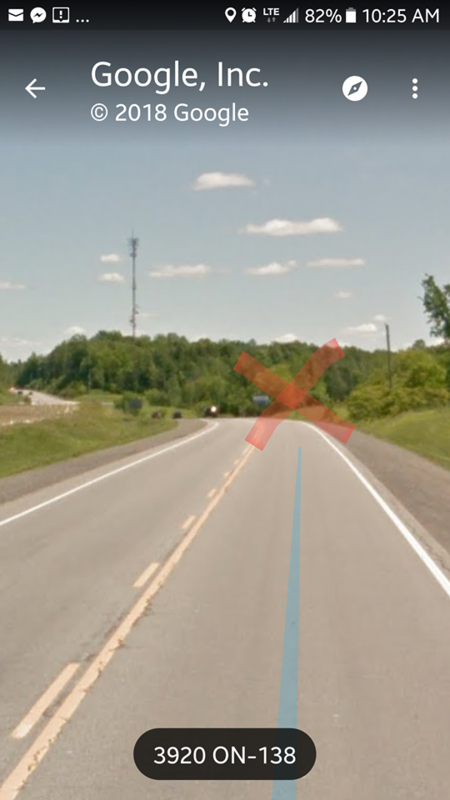 COLLISION: #Hwy138 b/t Quail Rd and McDonald Rd #Cornwall – roadway blocked. #OPP on scene.